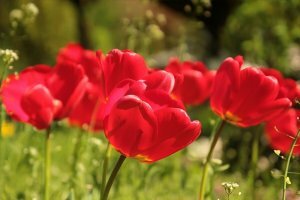 There may be many reasons why a home is vacant — a deceased relative; you’ve moved an elderly parent into assisted living; or a renter has left, you may have relocated; or maybe you’re a snowbird with a home in warmer climate in the winter and only living on Long Island during the warmer months of the year. 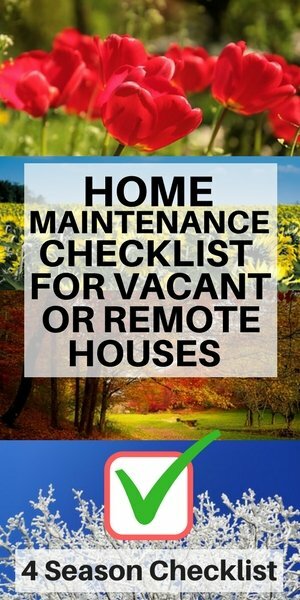 But, regardless of the reason that a home is vacant, one thing is clear: Any time you leave a property empty for a long period of time, you’re probably going to run into some problems. You can read more about the watch outs of managing a vacant home here. 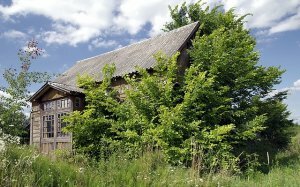 In this article, I want to provide advice on how to maintain a vacant or remote home from afar so you avoid many of these issues. Before I get started, I have a very important tip. Be sure to contact your insurance company and purchase Vacant Home Insurance. Most people don’t realize that if a home is vacant for more than 30 days, most insurance policies won’t cover any damage if there’s a storm, water damage, or break in, etc. So, to avoid this problem, you need to update your policy to vacant home insurance. It will definitely cost you more (often it costs 1.5 – 3x the amount), but if you don’t do this and you have a problem, it will cost you much much more. As you’ll see in the above-mentioned article, vacant homes are more prone to problems. So, don’t forget this important step to protect your house and your investment. You may also want to invest in some electronic monitoring, so if there is an issue, it’s easier to detect before the problem gets worse. As you’ll see from below, there are a lot of tasks to manage. They take time and money. You can choose to do these yourself or hire local people (e.g. friends/neighbors, contractors, caretakers, etc.) to manage the tasks for you. You also have the option of hiring a property manager or getting a house sitter. Any way you look it, time is money…and the longer your house sits unoccupied (even if it’s on the market), the more it will cost you and the more maintenance will be needed. Here on Long Island, the average home on the market takes 6 months to close…from the time it hits the market to the time it actually closes and ownership is transferred. Of course, if it takes you 3 to 6 months to prepare the house for the market, it can double the time that your house is vacant. Many do not factor in the cost of waiting and having your house sit on the market (or sit while you’re waiting to place it on the market). You can find out more about these costs in this article: What does it REALLY cost to have your house sit on the market for 6 months. Plumbing – Check all plumbing fixtures for proper drainage and leaks. Flush all toilets. Note: If you don’t do this and the pipes dry up, noxious gasses from the sewer may enter. Normally, the water in the p-trap blocks this, but if it dries up, this can become a problem. So, flush all toilets. HVAC -Inspect and possibly change out HVAC filters. These should be replaced at least every 3 months, even if no one is living there. If the filter is dirty, change it out now. I’ve often heard from home inspectors that it’s more advisable to get cheaper filters and switch them out more frequently rather than buy more expensive ones that supposedly last longer. And, remember that changing the filters make your HVAC run better (and save you money) and prolong the life of your appliances (and yes, I learned this one the hard way). Electric -Check the switches to make sure the light works, as well as heat/AC. Check to make sure alarms, smoke detectors, and carbon monoxide detectors are working. Replace batteries every 6 months – generally in the fall and spring when we change the clocks. (And, if you hear a chirping sound, that means the batteries need to be replaced). 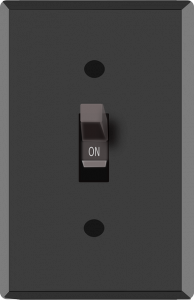 Turn all appliances on/off to make sure they work. Exterior – Check the roof, check all windows and doors (to make sure none are broken, and locks are working). 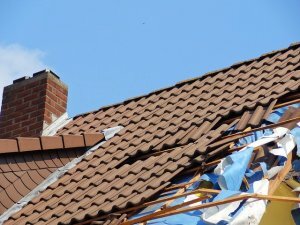 Check for weather damage after each storm. Make repairs as needed. Property – Check for any issues on the property. 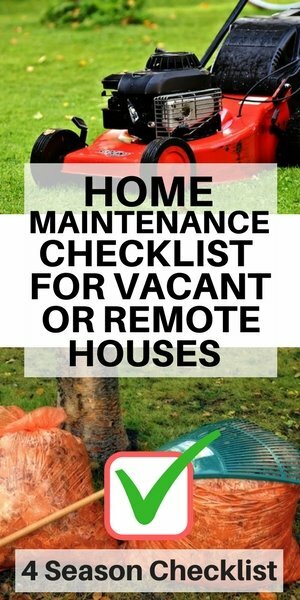 In the spring/summer/fall, mow the lawn (may need to be every 1-2 weeks), rake the leaves in fall (probably weekly), have the driveway plowed and walkways shoveled after each snowfall. You may want to hire people for these tasks. Also, please note that in some towns, there are ordinances and fines if you let your lawn or property become overgrown. 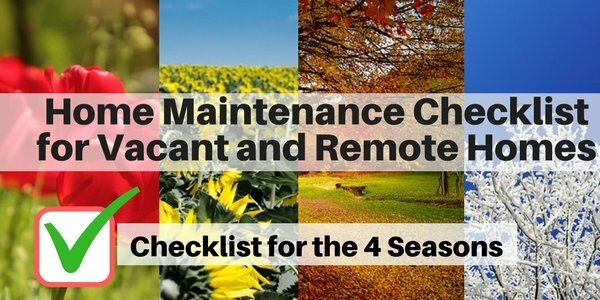 You definitely do not want to skip fall maintenance items, as it could lead to many costly problems in the winter and early spring. Get the heating system ready for winter – Check for any leaks, especially around windows and doors, as this can cost you serious money. Get the furnace checked and serviced. Also, make sure the heating vents are open and not blocked by area rugs or furniture. Vacuum the vents. Have the thermostat checked for accuracy. If you don’t yet have a timer, consider installing one to regulate the heat throughout the daytime and night time. Check the flue in the fireplace to make sure it’s closed and not letting warm air escape. Winterize the AC units – If you have wall units, remove the AC units and store them. If you have central AC, cover the outside units with a tarp or plastic sheeting and secure with bungee cords. Check the weather stripping on the doors – Replace if needed. This will save you money on your heating bills. Flush hot water heater – This will remove sediment, prolong the life of your hot water heater and improve its efficiency. 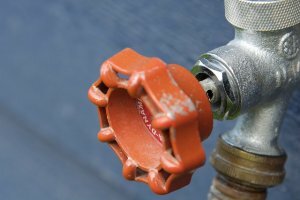 Turn off and flush outdoor water faucets (and hoses). Flush out and then empty the water from the hoses. After they’ve dried, store them. If you have a sprinkler system winterize this as well. Wrap any exterior pipes and pipes below ground level with heat tape. Test the sump pump – This is much easier to check in the fall, and you are likely to need it in the winter (while the snow melts) and early spring. Don’t wait until it’s too late. This will help make sure you don’t have extra problems in the basement. Check the driveway (and walkway) for cracks – If you do have cracks, have them re-sealed before the winter (and before it gets too cold). If you don’t, water will get caught in them during the winter and freeze…and then expand and of course, make the cracks worse. Check your insulation – You want to make sure your home is well insulated. Otherwise, not only will you spend more money on heating your home, but, you may also have issues with ice damming in the winter (see below). Replace screens with storm windows – This will keep the house warmer, reduce energy bills and reduce leakage during heavy storms. Check the roof – Clean off any debris and quickly check the flashing, soffits, and eaves for any visible damage. You want to make sure that you won’t have a major issue getting through the winter and the blanket of snow. Clean the gutters and downspouts: Clean out the gutters so that the dirt and leaves are flushed out (here on Long Island, you should wait until all the leaves have fallen which is generally end October to mid-November). Make sure the water is flowing away from the house. Get the chimney cleaned – Some people prefer to do this in the spring and that’s fine…as long as you do it annually. If your chimney hasn’t been inspected for a while, you should call a licensed chimney inspector. 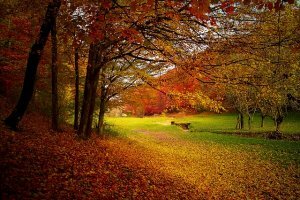 Rake the leaves: Of course, every fall, you need to rake the leaves – usually once a week. Do not let the leaves sit too long as you may have other issues. Periodically check the electricity – Check the lights and heat (at least monthly) to make sure they are still working and certainly have someone check after any major storms or snow falls. You don’t want to have a house without heat…or you may get frozen pipes which can be extremely costly. Be sure to keep the heat on – Make sure you keep the heat above 55 degrees. If not, you run a serious risk of having frozen pipes. If you have your house on the market, you’ll want to keep the temperature more comfortable for potential buyers, most likely in the 60 to 65 degree range. The last thing you want for potential buyers is for them to be cold and uncomfortable and want to leave. 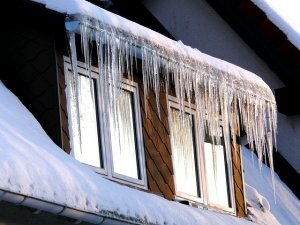 Check for Ice dams and icicles – Ice damming can also do some serious damage to your roof and interior of your home (i.e. ceiling, walls, floors), and you want to try to avoid this at all costs. Ice damming occurs when the snow on your roof melts unevenly, usually the top melts sooner, and then it turns into ice as it flows lower on the roof. So, after it snows, check your roof to see how it’s melting. If it’s melting unevenly (or in patches), it’s a signal that you have a problem (often with the insulation of your home). Icicles are another sign that you have a problem. Check out this article on How to prevent ice damming in your Long Island home. Deep clean the basement – Check your basement to make sure there are no issues such as water, moisture or mold. Fully dust and clean the area. Check all locks and deadbolts – Replace any issues. 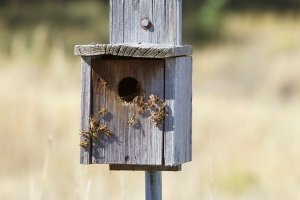 You don’t want to find a squatter in the home when you return in the spring. Snow removal – You’ll want to have the driveway plowed after every snowfall and also make sure the walkway/entrance is cleared. This is especially important if your house is on the market. If you live somewhere else, it’s best to hire a snow plowing service to do this. 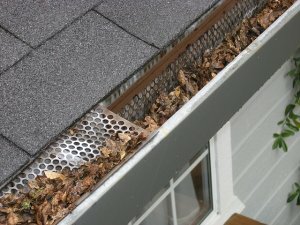 Clean the gutters – It’s likely that your gutters collected dirt/sediment as well as pine needles and other leaves from the winter snows and rains. Keep the gutters cleared so that they minimize water damage to your house. Check exterior drainage – Make sure water is flowing away from the house (and not towards it). Puddles shouldn’t last for more than 24 hrs. If water is flowing towards the house, you may have a gutter issue (see above) or you may need to grade the area around your home with some dirt so water will flow downwards and away from it. Inspect the roof for damage or leaks – A roof leak can do some serious damage to your home including the need for roof replacement, ceiling, wall and flooring repair. When you live in a home, you typically notice these issues before they become serious. But, if the house has been vacant all winter, especially if it was a snowy one, you will definitely want to check this. Be sure to check the ceilings on the top floor, too. Clean any debris off the roof. Clear any shrubs and debris from the house and walkways – Make sure that the shrubs and trees aren’t growing too close to the house (yes, roots can do some serious damage to the house…especially the foundation. Make sure the driveway and walkways are cleared. Have the bushes trimmed. Check the basement – This room is frequently overlooked, but it is often the most vulnerable ones as it’s below grade. 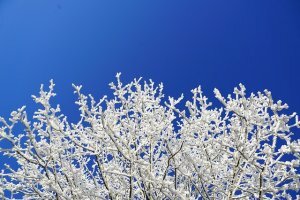 If the winter has been extra snowy or there have been heavy spring rains, check to see if there are any issues (e.g. water or moisture). You may want to install a dehumidifier to help prevent excess moisture. Mow the lawn – This will probably be needed every other week starting in April or May. 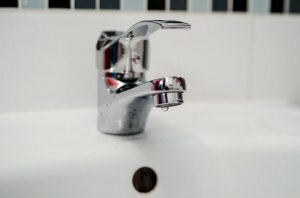 Check the plumbing – Check all of your faucets and each toilet for small leaks. Turn the water on the sinks and flush the toilets. You don’t want these to dry up. If they do, then the p trap may dry out which could result in noxious sewer gases entering your house. Flushing periodically helps. Check the septic system – This should be done annually and it’s generally easiest if it’s done in the late spring/summer as it’s easier to assess and also if you have a problem, you can address it before the cold weather sets in. 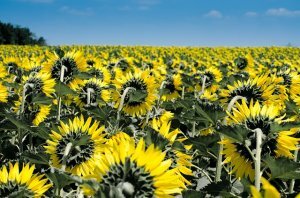 Check for any insect or bee problems – Yes, insects flourish in the summer – all types. Check for spider webs and clean them (and if you see spider webs, that usually a sign you have other insect problems since spiders feed on insects). Check for bees, especially in August when there are usually more. You should also check for termites which can do serious damage to your house. Clean and power wash your deck – Generally, this should be done once a year. You may also need to restain every other year. Check if there is any other damage to the boards and especially the steps. Reseal the grout in the bathrooms and kitchens. Most people don’t realize that you need to seal your grout and reseal it annually. Here’s a good article on how to reseal your grout: Why it’s important to seal your grout and how to do it yourself. Check and clean dryer vent, as well as other exhaust vents – When you run the dryer, make sure it’s venting outside. Check the lint and vacuum. Believe it or not, many fires are caused by not checking this area. Clean windows and window wells – In particular, check the lower and basement levels. Lots of leaves and dirt tend to get caught there and sometimes you will find some unwanted critters if the area isn’t cleared. Clean the garage – Sweep and clear the dust. And, yes, the dust really does accumulate, especially in a garage. Make sure there are no flammable items left behind. 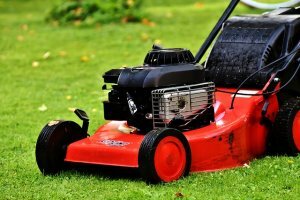 Mow the lawn – During the summer, you may need to have this done every week. You may want to hire someone to do this on a regular basis. Yes, maintaining a home takes a lot of time and sometimes a lot of money if you don’t live there. When a house is empty, even minor problems can escalate quickly, if no one is checking on the house. We’ve had a few customers that were away for July 4th week and had an overflowing toilet on the 2nd floor that damaged the floors, ceilings, and walls on the top 2 floors plus the basement. Their security cameras alerted their monitoring service that there was movement in the house…the “movement” was the ceiling falling down from all the drenched water. At times, all of this maintenance can seem overwhelming (and expensive). Plan ahead on these maintenance items and be sure to find someone who can help you, if you’re not nearby. An ounce of prevention is certainly worth way more than a pound of cure. The longer a house is vacant, the more likely you are to have a problem and the more serious it could become. If you can no longer manage a vacant home (either from a time or money perspective), there is an alternative. We know that many people are trying to sell their vacated house, but their house just lingers on the market for months (or even years) on end. There is a real cost for having a house just sit there. See: How much does it REALLY cost to have a house sit on the market? There are maintenance costs, insurance costs and of course real estate taxes (which are rather high on Long Island). We help Long Island homeowners who are in this situation. We buy homes for cash so that you can sell your Long Island house quickly. 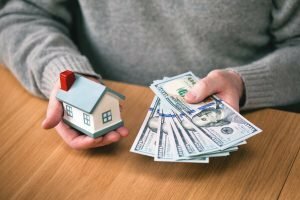 Rather than spending a lot of money (and time) on fixing your house and maintaining it, you actually have another option to avoid paying for the maintenance and repairs and going through the hassle. Long Island Cash House Buyer LLC makes it easy to sell your house if you need to sell quickly. When you sell your home to Long Island Cash House Buyer LLC, you don’t even have to make any repairs before you sell. We will buy your house even if it has been damaged by flood water, lightning, or hail. We are here to reduce your financial burden so that you don’t need to come out of pocket. If your house is on Long Island, we can help you. How much does it cost to have your house sit on the market for 6 months?